The Senate has resolved to override President Muhammadu Buhari on the constitution amendment bill, which seeks to compel the president to present annual budgets in September of every year. The Senate also said it would override the president’s veto on the Industrial Development (income tax relief) amendment, bill. To override the president on any matter, the Senate needs a two-thirds majority, which is about 73 senators, to endorse the action. Though the constitution amendment bill Number 28 rejected by the president sought to peg the date for budget presentation at not later than 90 days before a financial year, there is no provision in the bill providing when the National Assembly should pass the budget. Senators also agreed to rework on 11 bills that the president had rejected, and completely withdraw four bills. Five of the bills to be reworked on are on constitution amendment. The resolutions were reached after the adoption of the report of the technical committee on the bills the president declined to assent to chaired by Sen David Umaru (APC, Niger). 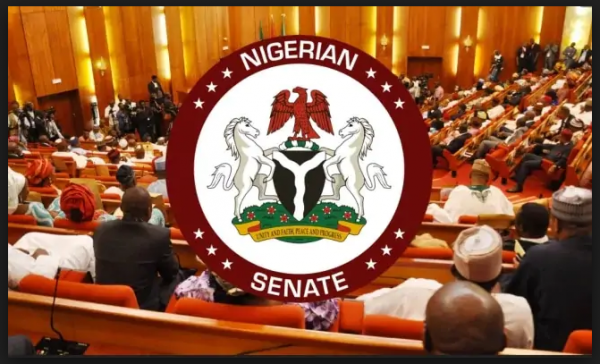 ‎Other bills that the Senate resolved to rework on including the Petroleum Industry Governance Bill (PIGB), 2018; the National Institute for Hospitality and Tourism Bill, 2018; the National Research and Innovation Council Bill, 2018; the Stamp Duties (Amendment) Bill, 2018; the National Agricultural Seeds Council Bill, 2018, and the Agricultural Credit Guarantee Scheme Fund (Amendment) Bill, 2018. The four bills to be withdrawn are the Advance Fee Fraud and other related Offences (Amendment) Bill, 2018; the Nigerian Maritime Administration and Safety Agency (Amendment) Bill, 2018; the Subsidiary Legislation (Legislative Scrutiny) Bill, 2018; and the Chartered Institute of Entrepreneurship (establishment) Bill, 2018.